The originator of the most hit YouTube series, BB Ki Vines and sensational actor and comedian Bhuvan Bam will soon be adding another feather to his cap as he is gearing to bring his series character “Titu Mama” to life at YouTube’s Fanfest. Hosting the chat show with filmmaker Karan Johar, Bhuvan, for the first time, will be interviewing Karan live on stage as the epic digital character and probe the director-producer about some trending topics. This 15 minutes segment will enroll at the Jio Garden in Mumbai where the YouTube fanfest will be taking place on Saturday. 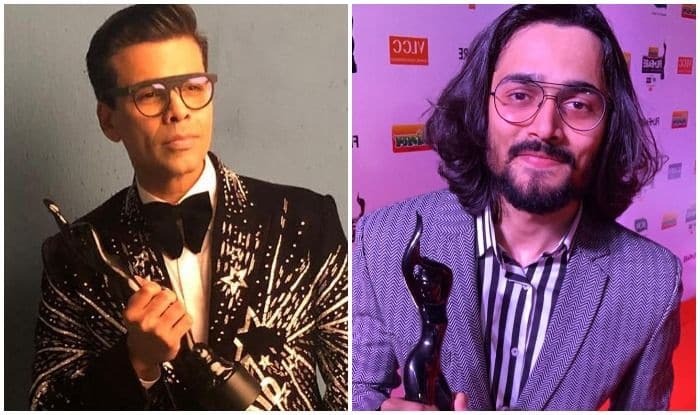 Bhuvan recently won the awards – Entertainer Of The Year and Most Viral Content Creator at the Cosmopolitan Blogger Awards 2019. He even starred in a short film, Plus Minus, alongside actress Divya Dutta. Bankrolled by Guneet Monga and Rohit Raj, the film won Filmfare award for the best short film. In 2018, Bhuvan became the first Indian YouTube content creator to have 10 million subscribers, having started the first episode of Titu Talks starring Shah Rukh Khan. The second episode was shot with adult film industry star Johnny Sins.